If you are in the market for a new or used vehicle, have you considered the value of a pre-purchase inspection? A pre-purchase inspection is accomplished when Creech Import performs a comprehensive inspection to appraise the value of a vehicle and to ensure that you are making a solid investment. Having an automotive expert in your corner to determine the real value of a vehicle not only helps you hedge against buying a lemon, but it can also help you obtain financing from a bank. Banks do not like to lend a lot of money for used vehicles because they can have hidden problems that put you underwater on the loan when the repairs cost more than the vehicle is worth. Only an expert knows exactly what to look for and how to determine whether a vehicle is worth the asking price or a money pit on wheels. 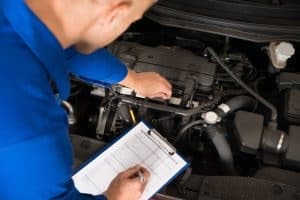 There are so many factors to consider that are sometimes unique to a particular vehicle and other times unique to a particular condition that can universally affect any vehicle. Having the wisdom of an expert inspector is even more important when you are considering investment in classic cars, rare vehicles, heavily modified vehicles, or new generation vehicles recently released. For a small investment in compensating our shop for the time, you can remove a world of burdens off your shoulders. Even if the vehicle looks like it is in mint condition from the outside, there may be rust repairs, accident repairs, premature engine wear, electrical gremlins, flood damage, or just bad engineering for innovative features that the manufacturer wants to beta test on you. In the very least, a pre-purchase inspection will help you identify wear spots and what you can expect to replace on the vehicle over the next few years. From working around vehicles every day and years of repair on our own vehicles, the technicians at Creech Import are best situated to determine how well a prospective vehicle was maintained by the owner. We can often tell from the little things and the maintenance routine of how neglected it may have been. If the engine is currently running a conventional oil, it is doubtful that the owner followed factory service recommendations or cared a whole lot about maintenance. All the little things you may never consider light up in the mind of mechanics who experience these issues and inspect vehicles for a living. We have an eye to look for aftermarket parts and obvious lapses in maintenance. We can even look through the maintenance history and title history of a vehicle to get a more thorough background. Many times, however, accidents and flood damage are not even listed if the vehicle is made driveable before a resale. You’d be surprised at the type of lemons that dealers and private parties try to sell. Checking for computer faults, road-testing the vehicle, assessing the age of the tires, considering when important services like timing belts were made, and examining the body for signs of rust and repairs are just a few elements of a pre-purchase inspection. It is easy to patch up a severely damaged vehicle with rust or accident damage using fiberglass resin filler and a can of color-matched spray paint. The problem with rust is that there is no guarantee that it won’t return. Because new vehicles are using a lot of hybrid metal combinations, it is easy for something as basic as a windshield repair to lead to cancer. The aluminum frame can be contaminated with steel particles and can begin to turn chalky and eventually decompose. There are different types of damages in used vehicles that only an expert who has seen the end result of, after years of neglected upkeep, will recognize. The technicians at Creech Import know exactly how your vehicle is supposed to perform and how it should respond to braking, steering, and shifting inputs. There are many advantages to having an automotive expert when you are about to lay down cash on any vehicle. We know the weak spots and can in the very least help you in negotiations by citing damage the owner may not have noticed. Contact us to see how we can help.